Incoming President Liz Moreno, incoming President Elect Rosie Karlberg and other new officers were inducted into their new positions in the Rotary Club of Richmond for year 2015/2016. 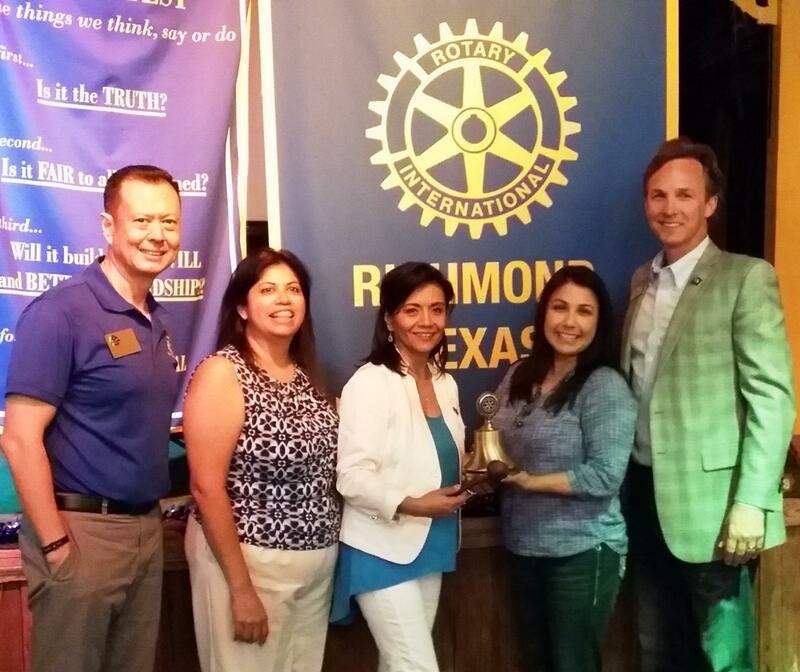 Emceeing the event was PDG Jeff Tallas of the Rotary Club of Sugar Land while DGE Eric Liu from the Rotary Club of Memorial-Spring Branch inducted the new officers on June 4, 2015 at The Swinging Door Restaurant in Richmond, TX. “I am excited to lead the club this coming year as we are celebrating 80 years strong in 2016! Richmond Rotary has made a significant impact on the lives in our community. Since Rotary International’s new theme is ‘Be a gift to the world’, I look forward to being at the helm of such an active group of service oriented members,” declared Liz Moreno. “We not only look to make a difference a year at a time, we have set long term goals for ourselves and our community,” said outgoing President Priscilla Salas.